Jordan Henderson admitted to disappointment with the 0-0 result against Stoke City after a frustrating afternoon for Liverpool at Anfield. Jürgen Klopp made five changes as the Reds returned to Premier League duty in between their Champions League semi-final with AS Roma. But their quest for three points that would have left Henderson and co in firm control of the battle for a top-four finish was foiled by a stubborn Potters team. Danny Ings had a goal disallowed in the first half for offside and a strong appeal for a penalty late on, when Erik Pieters appeared to commit a handball in the box, was dismissed. 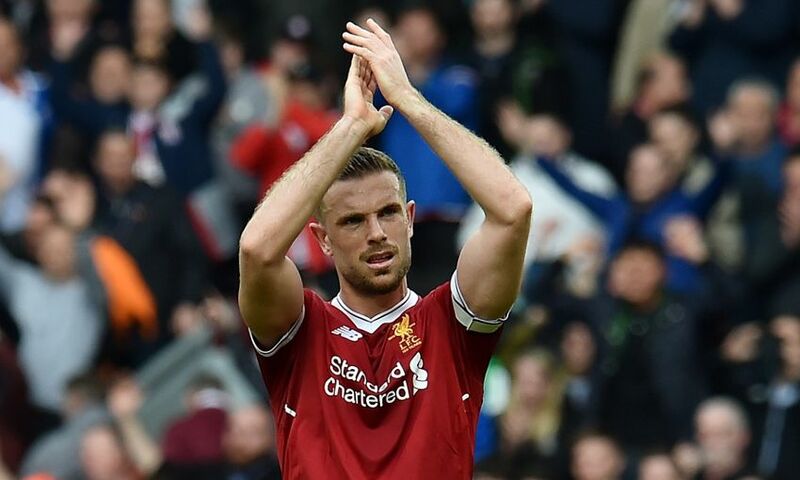 “We just couldn’t get it over the line,” Henderson, who completed the 90 minutes despite suffering a twisted ankle before half-time, told Liverpoolfc.com. “In the second half I thought we dominated it really well and overall we’ve got to come away with the three points. We’re disappointed we haven’t scored. “I thought the lads were brilliant again and just couldn’t get over the line. We felt good going into the game. “You’ve got to give credit to Stoke – they defended really well. We knew they would, they’re fighting to stay in the Premier League so they’re chucking bodies everywhere and trying to block things. Liverpool must rouse themselves quickly, of course. A journey to Italy for the second leg of that Champions League last-four tie awaits, with Klopp’s men 5-2 ahead at the halfway point. “We’ve got to keep going; there’s still a lot to play for this season,” continued the captain.